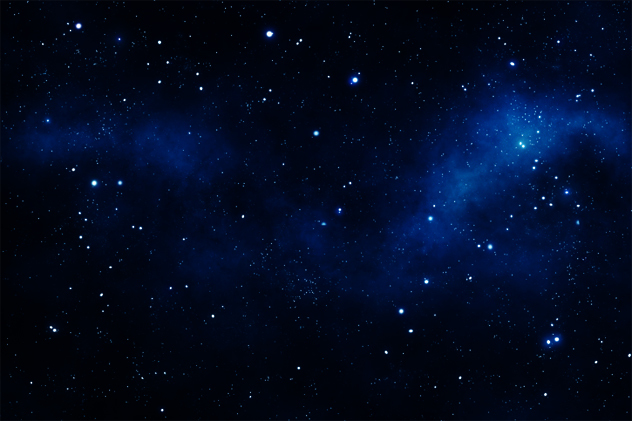 The apparent infinity of space never fails to astound us laypeople with its pretty lights and hypnotizing patterns. However, even scientists and astronomers are often flabbergasted by some of the more extreme discoveries. A newly discovered star, affectionately dubbed IRAS 13481-6124, is already helping astronomers figure out how gigantic stars are made. There are different classifications of stars, yet it basically boils down to “small” and “big.” And our Sun is on the little side of things. It’s in one of the smaller subsets of stars and it’s not even massive enough to die in a glorious explosion, like all the cool stars in the universe. Instead, it simply sheds itself to death, going out with a weak cough rather than a bang. 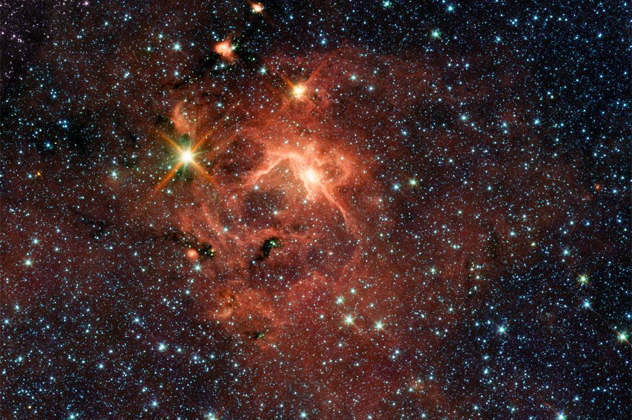 Some theories suggest that larger stars could form when smaller ones join together, though it appears that IRAS was formed much like its smaller brethren, discrediting the idea of stellar mergers. And while IRAS is still a newborn, it’s already a fat and healthy baby. It’s located 10,000 light-years away in the constellation Centaurus, and it’s surrounded by a disk of stellar debris—the birthing stage of a possible solar system. 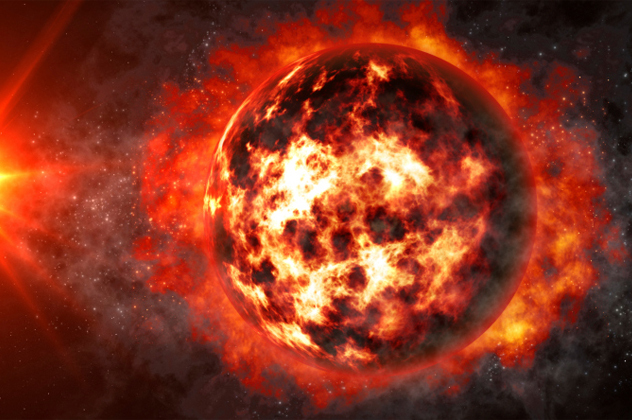 It’s the first time astronomers have been able to observe such an event, and a heavy (20 times the mass of our Sun), metal-rich star such as IRAS holds the necessary elements for the formation of planets—possibly even life. Peering out into space is like looking into a kaleidoscope—the polychromatic nebulae and vibrant galaxies are all spectacularly unique. And that’s the one thing we do know about space—it’s full of stuff. But the universe constantly throws curveballs our way—like the Bootes Void, which is just a massive chunk of emptiness. Named for its proximity to the constellation Bootes, it’s also known as The Great Void. It was discovered in 1981 by Robert Kirshner and his colleagues, who were shocked to find a seemingly empty spheroid of space. After much scrutiny, Kirshner and his team were only able to detect a paltry 60 galaxies in an area spanning a whopping 250–330 million light-years. For a piece of real estate that expansive, the expected number is closer to 10,000 galaxies. And for comparison, the Milky Way itself has at least 24 neighbors within just 3 million light-years, which is practically walking distance. Technically, this void shouldn’t exist, as current theories are only prepared to deal with much smaller “empty” areas. The sheer scale of this vacuous monster necessitates new theories, including the most interesting and far-fetched idea: alien intervention. There’s a problem with our galaxy: It’s “ringing” like a struck bell, and astronomers aren’t sure why. But a new theory suggests that this anomaly is the result of a massive perturbation 100 million years ago. This perturbation came in the form of a collision—either with another, much smaller galaxy, or with a hurtling glob of dark matter. If this theory holds, it will solve a galactic mystery: Our galaxy’s north and south hemispheres don’t match, with the structure changing distinctly as we move past the midpoint of the Milky Way. This disequilibrium was supposedly caused by vertical waves, which were themselves the result of invisible “dark matter satellites” (kind of like invisible galaxies) moving through the galactic plane. Computer simulations suggest that this discord will settle down relatively soon—it’ll only take another 100 million years. The history of our universe is hidden from us not only by unimaginable spans of time and distance, but also by seemingly endless amounts of matter. Gas and dust upend the beams of light that serve as our only glimpses into the formative universe. But sometimes, immensity plays in our favor, and astronomers can effectively see regions of space that are far behind massive objects because photons traveling past are warped and magnified. This is called gravitational lensing, and it’s allowing NASA to see the dimmest, smallest, oldest galaxies ever. 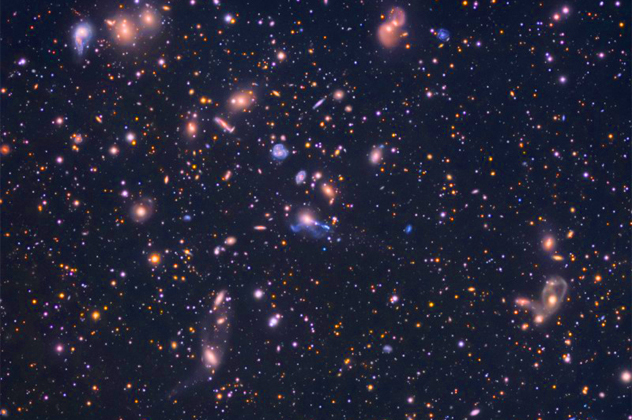 Using the galaxy cluster Abell 2744 as a lens, astronomers have recently imaged thousands of fetal galaxies that, at 12 billion years old, are almost as old as the universe itself. Though Abell 2744 is only 3.5 billion light-years away, the magnifying effect is so great that it’s supplied us with the deepest image of the universe ever: the First Frontier Field. Since the lens increases the apparent size of distant objects by up to 20 times, we’re able to see seriously tiny and faint objects that are situated almost at the very end of space itself. A gigantic thread of pure hydrogen spotted in the NGC 7448 group of galaxies has scientists scratching their heads. Located 500 million light-years away, the hydrogen bridge stretches a length of 2.6 million light-years (well over 20 times the size of our Milky Way) and connects several galaxies with its ghoulishly green appendages. Astronomers never expected to find such a gassy behemoth, and their surprise was twofold: First, such large collections of hydrogen are never found outside of galaxies, since they exist within to offer star-birthing material. Second, the sheer size of the thing is just mind-boggling—it contains more hydrogen than the Milky Way and Andromeda galaxies combined, and Andromeda is larger and more generously star-endowed than our own galactic home. There are several possible explanations, the most glamorous of which suggests that we’re seeing the remnant of a galactic collision. It stands to reason that the sheer gravitational influence of the involved galaxies drew out and stretched the stream of gas like an ethereal strand of spaghetti. Kepler 78b is an anomaly: It shouldn’t exist. Like Jupiter’s moon Io, Kepler 78b is a hellish planet bedecked in lava and fire. Yet its odd size, combined with its unusually tight orbit around its star, have caused a slight ruckus in the scientific community. Astronomers don’t really know how a planet of this size ended up so close to its parent star, since there are no planet-formation theories consistent with the reality. And when we say close, we mean within snuggling range—Kepler 78b is a mere 1.6 million kilometers (1 million mi) away from its sun, making a full year on Kepler 78b just under nine hours long. The planet is only 1.2 times as large as Earth and not even twice as massive, making it one of the most Earth-like planets ever found. Its location ensures a thorough roasting, and temperatures on the surface can reach 2,400 degrees Celsius (4,300 °F). Data also suggests that the star was much larger in its youth, which places Kepler 78b’s current orbit comfortably within its former stellar radius. Therefore the planet obviously could not have formed where it now sits, so new theories must be put forth. All that’s known for sure is that 78b will soon be devoured by its star as it spirals ever closer to its inevitable destruction. 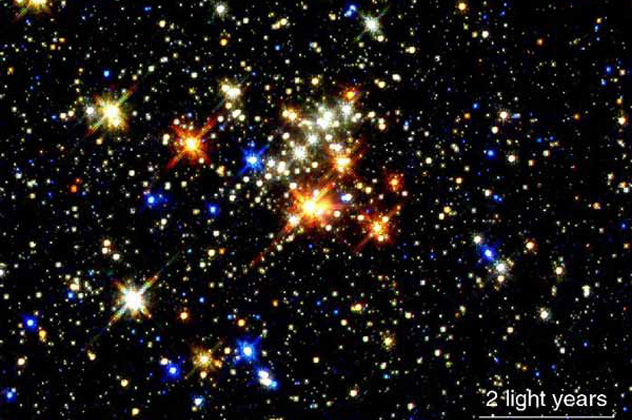 Only 25,000 light-years away, the Quintuplet Cluster is one of the Milky Way’s most spectacular sights. 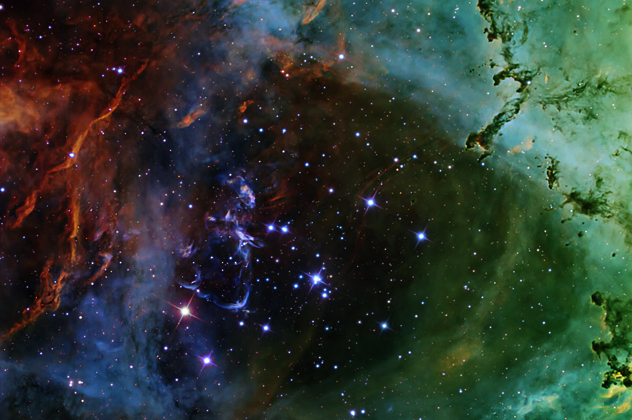 The cluster is akin to a cosmic kindergarten—full of young, brightly shining stars. This area of space is also very densely packed, with stars located within punching distance of each other. And with such short distances between them, they’ve whipped up an incendiary gaseous cocktail that reaches temperatures of 50 million degrees Celsius (90 million °F). The cluster is also located precariously close to the center of the galaxy, where supergiant black hole Sagittarius A gobbles up matter with alarming voracity. Even though the QC is the most massive, dense, and luminous cluster in our galaxy, it’s rendered practically invisible by the sheer amount of debris in the way. 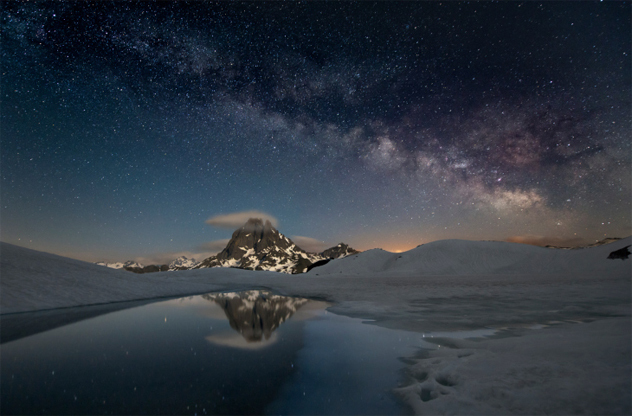 The center of the Milky Way is obscured by patches of white-hot gas and dust. Thus, the Quintuplet Cluster remained hidden until 1990 when astronomers were able to peer through the shroud using infrared imaging. But just like the McRib and the dodo, the Quintuplet Cluster is only available for a limited time; being a short walk away from the galactic center, it will soon be torn apart by gravitational fury. So grab your most potent infrared telescope and enjoy the view while it lasts (for another million years). 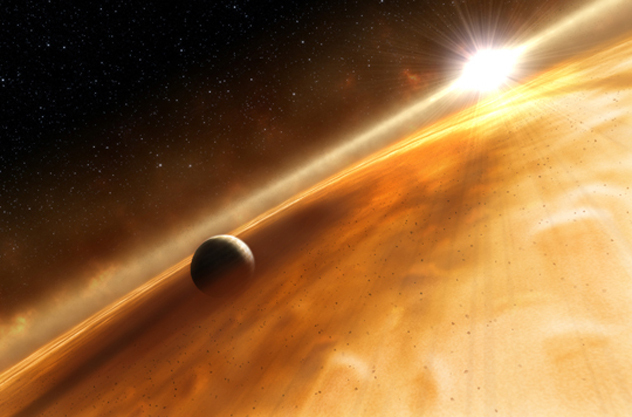 As our stellar encyclopedia grows, we’re finding that many stars host multi-planetary systems. There are 466 such specimens, though almost half of them contain only two planets. Younger systems are much easier to spot because they still retain residual heat from their formation, and one such example is HR 8799. The large, young star hosts four hulking gas giants that make even Jupiter look puny. Luckily, the planets’ distance from the star ensures that their light signature (visible in infrared) is readily apparent and not overwhelmed by the light from their parent. And while the smallest member of this alien solar system makes Jupiter look like a preschooler, the largest is up to 35 times as massive as the Jovian giant. Its size, age, and the fact that the system is only 130 light-years from Earth made HR 8799 relatively easy to spot. And seeing such giant gas planets at such distance from the solar center opens up new theories about how planets form due to the observed differences between this system and our own. Our Milky Way is embroiled in a massive cosmic mystery: Certain expected subatomic particles, called Baryons, seem to be missing. Basically, there should be a lot more stuff in our galaxy than scientists have yet been able to detect (and we’re not even talking about dark matter). 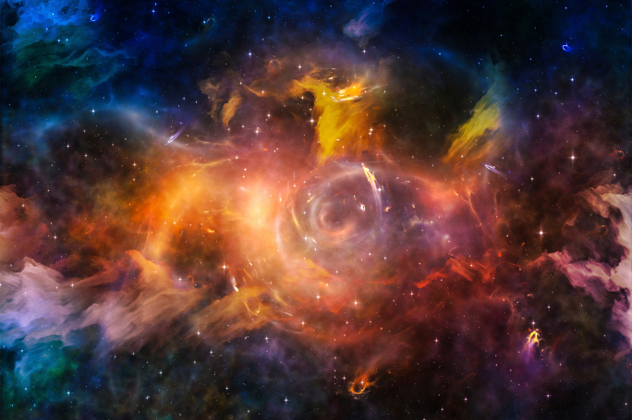 But a recent discovery may finally put an end to the conundrum, as it appears that our galaxy is enveloped by an immense cloud of super-hot gas. It forms a halo of sorts around the Milky Way, and it burns at a temperature of 1–2.5 million Kelvin. The Chandra Observatory, in collaboration with the European XMM-Newton and Japanese Suzaku satellites, were able to observe some funky goings-on around our solar neighborhood. Collectively, they deduced that the galaxy is crowned by an unexpectedly large glut of simmering gas. The gas halo is of indeterminate size, though the different space agencies can agree that it’s really darn big—at least several times the size of the galaxy itself, though it could potentially extend much farther out. Radio galaxies are incredibly pleasing to look at. They’re so-named because they emit great amounts of energy at the radio wavelengths and look like giant cosmic raves. The jets or lobes that blast from the galaxies’ centers are accelerated by massive black holes, and this activity makes them prime targets for our radio telescopes. The largest of the radio galaxies is named J1420-0545 and it stretches across a staggering 15 million light-years of space. That equates to 4.5 mega-parsecs across. 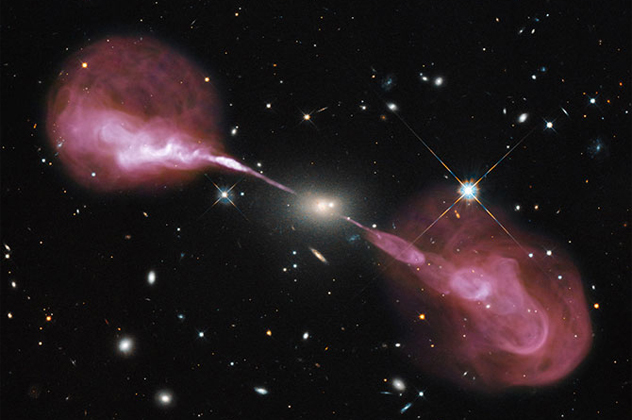 But radio galaxies live fast and die young, with their iconic, blazing jets sputtering out after 10,000 years or so—a period of time much shorter than even 1 percent of the galaxy’s lifespan. But because these galaxies output such crazy amounts of matter and radiation, they exhaust themselves very quickly. A moment later (on cosmological scales) they simply fade out and become inconspicuous relics. Though it often does, this may not necessarily spell death, as the central black hole can again become active, setting the whole galaxy alight once more.